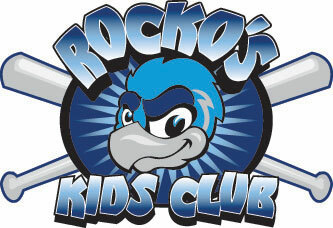 June 2, 2010 - LOVES PARK, Ill. – The Rockford RiverHawks begin a five-game, six-day homestand Friday, featuring Rocko piggy banks and the Principal Financial Group Family Fun Fest. All the action begins Friday, when the RiverHawks host the Fargo-Moorhead RedHawks. Principal Financial Group sponsors the Family Fun Fest, featuring the Fun Fest Midway and minor-league baseball museum with more than 20 midway-style attractions and activities. The Fest will go from 4 to 7 p.m. in the Road Ranger Stadium parking lot. Also, fans can enjoy a Friday fish fry with a specialty fish and chips basket sold only during Friday home games. Random fans in attendance will receive free gas, courtesy of Road Ranger as part of Free Gas Friday. Game starts at 7:05 p.m. with the gates to the park opening at 6:05 p.m.
Saturday, the first 1,000 fans in attendance will receive Rocko piggy banks, courtesy of Pepsi. The ‘Hawks are celebrating cinco de Junio and IMA bikers night. First pitch is scheduled for 6:05 p.m. The ballpark opens at 5:05 p.m. Saturday is another Roxy Carmichael Ladies’ Night. Sunday is the finale between the RiverHawks and the RedHawks. The game starts at 4:05 p.m., with Road Ranger Stadium opening at 3:05 p.m. It is a Cost Cutters and MyGofer.com Family Day with Mascot Madness. Numerous local sports mascots will be in attendance. Illinois Railway Museum and Midwest Rail Junction sponsor free train rides to kids age 12 and under throughout the game. Gary returns to town Tuesday; it’s the first “Two for Tuesday” of 2010, where fans can buy one ticket and get a second of equal or lesser value for free. Game time is scheduled for 7:05 p.m., with gates opening at 6:05 p.m.
State Farm Insurance hosts its first youth clinic of the year on Wednesday. Fans can receive a free ticket to the game by donating blood at any Rock River Valley Blood Center location as part of “Straight from the Heart Wednesday.” First pitch is at 7:05 p.m. The ballpark opens at 6:05 p.m.